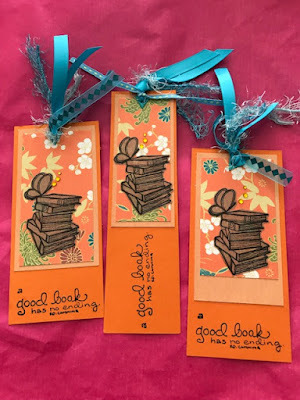 Following on from my little stamping session with a Unity book stamp, I made some pretty bookmarks. 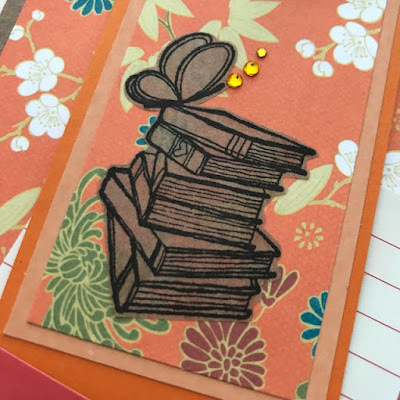 I'd stamped the books onto brown paper, and cut out, then matted onto various orange cards and papers. 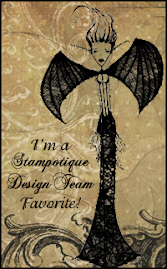 I added the quote from the stamp set too. 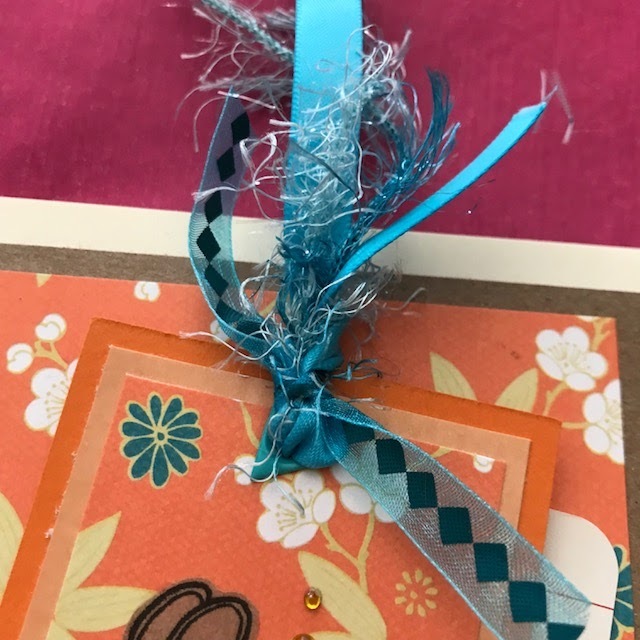 I have oodles of ribbon and fibres, and so I matched up the blue in the patterned layer, otherwise it was orange overload. I'd had plans for some more thank you cards, but the bookmarks sparked a little idea. 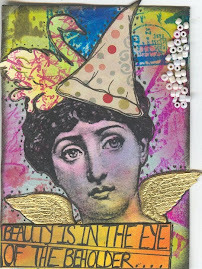 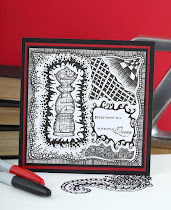 The patterned paper is layered onto kraft card, with some old Martha Stewart punches brought into use again. 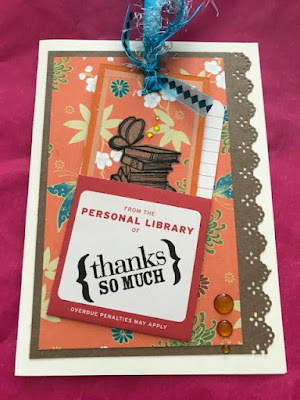 The library pockets are from a fab set I was brought when I left my old job- it was to make your own library. Great aren't they? 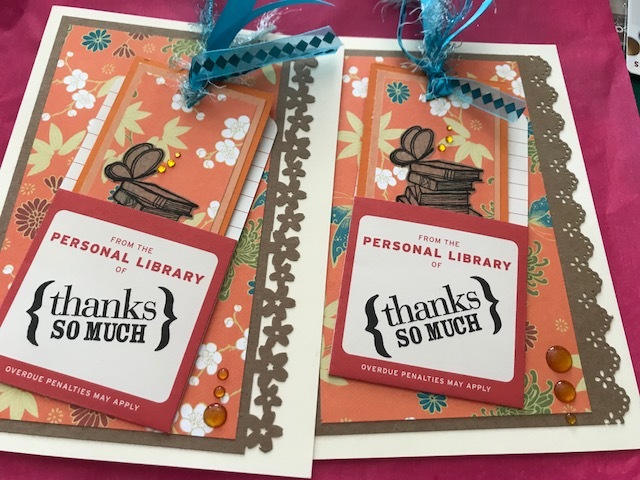 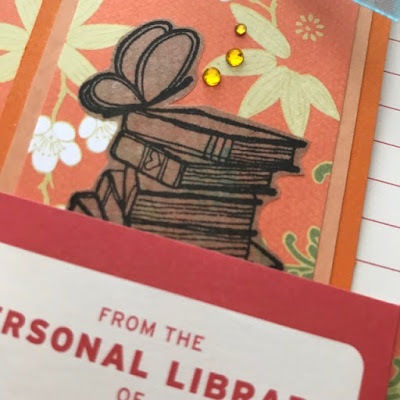 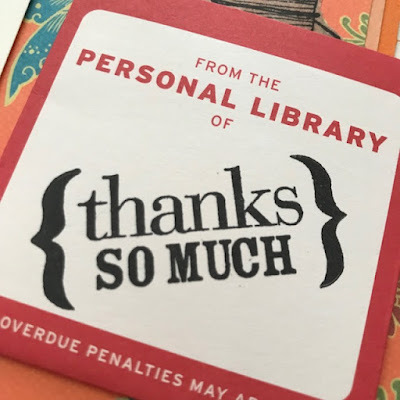 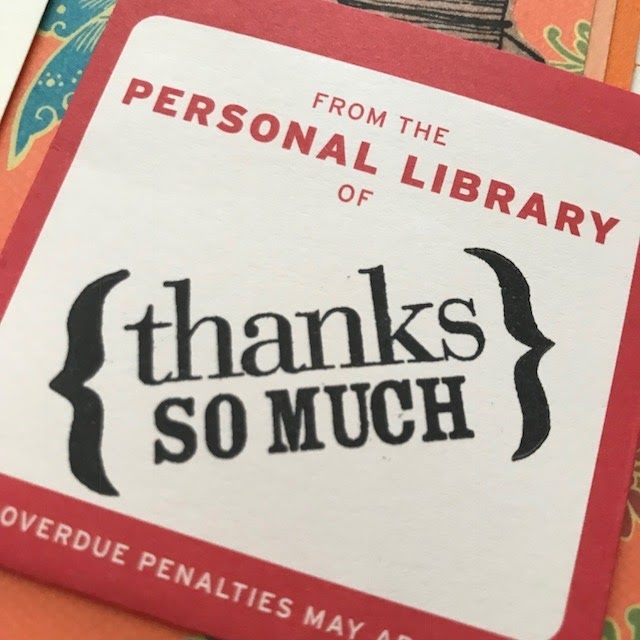 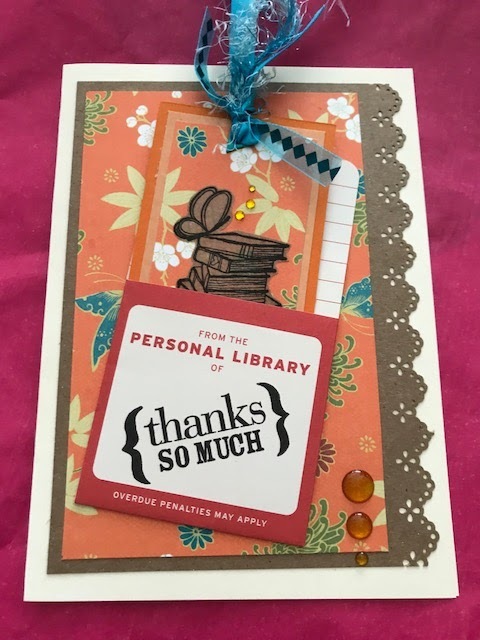 As these are cards for people who work in a library, the book theme seemed appropriate! 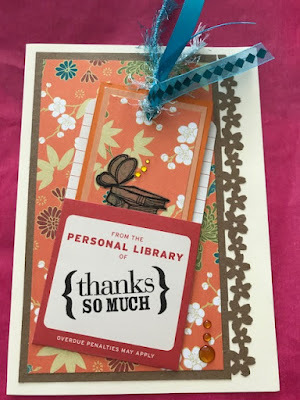 Gems always finish things off!